We are Pi and Jack Morton Worldwide's work on Desperados' SkyFest experiment won them the Brand Experience - B2C gong. 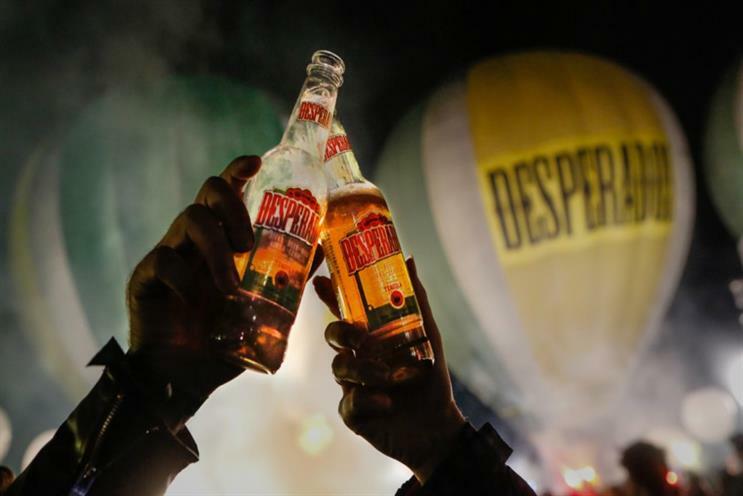 Beer and tequila-based drink Desperados wanted to strengthen its ties with youth and music culture. With a brief to "embrace the unexpected", the brand worked with We Are Pi and Jack Morton Worldwide to devise a sky-high festival, set against the backdrop of the Pyrenees. World-renowned DJs and party professionals Elrow performed in seven hot air balloons to thousands of partygoers on the ground. A six-month campaign built awareness and identified 250 international influencers to be part of the SkyFest experiment. They were invited to participate in and help amplify the event – in a two-day lead-up to the experience, they were treated to experimental music workshops and an interactive, conductive ink lightshow installation, connecting sound, light and sky ahead of the main event. At the event itself, Desperados, Elrow and partygoers shared Instagram stories via a live feed. With more than 67 million views, SkyFest was Desperados' most watched and shared content ever. There were 729,900 engagements with #skyfest and #desperados and 250,000 video views through Elrow's SkyFest coverage. Greggs was looking to extend its trading hours with an evening dining proposition. The food-on-the-go brand wanted an attention-grabbing activation that would also set the scene for its new menu roll-out. It served up a tongue-in-cheek antidote to Valentine's Day, introducing a candlelit dining experience in select Greggs shops across the country, with a video promo released three weeks before the event. Shops were transformed into restaurants designed for romance, complete with mood lighting, music, roses, candelabras and white linen tablecloths. Classic Greggs favourites were served canapé-style, while other dishes included chicken katsu tortillas and roast potato wedges. The activity resulted in total sales increasing by 3.7% year on year in the campaign period.